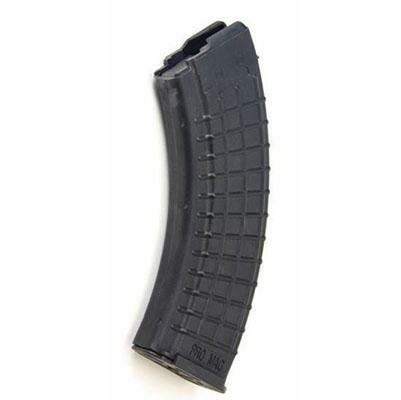 This is a 30-rd magazine designed for the Saiga rifle chambered in .223/5.56x45mm. The magazine body and follower are constructed of a proprietary DuPont Zytel based polymer to ensure a long service life. The spring is made from heat treated Chrome-silicon wire for maximum reliability and smooth feeding.